Opportunity to get an education at St.Petersburg State University with a scholarship. The opportunity to get an education at Darmasiswa 2019/2020 scholarship program. The opportunity to study at the University of Muhammadiyah Yogyakarta with a scholarship. Want to go to Cambridge and Oxford this summer? Interested in U.S education but hesitating about living in the U.S.? 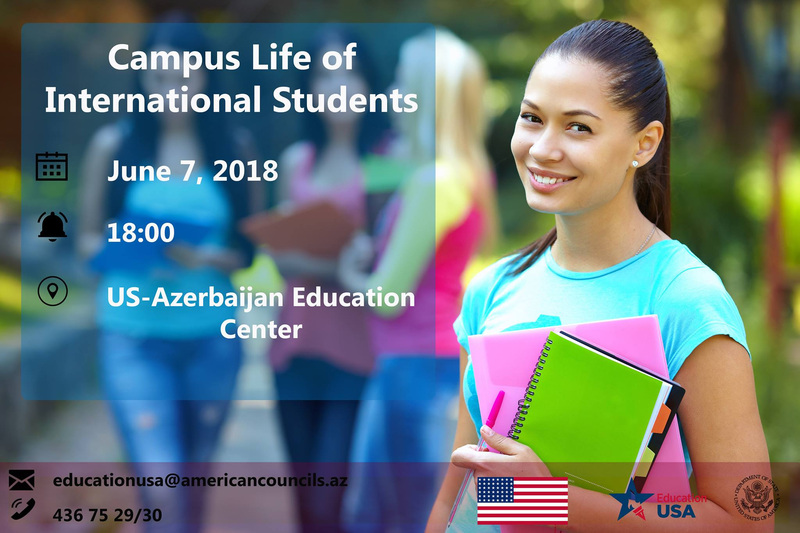 Information gained at this presentation will help you to better understand U.S. culture and expectations, adjust to life in the U.S university campus and have successful cultural adjustment! Address: 40, Jafar Jabbarli Street, Caspian Business Center, 2nd floor.